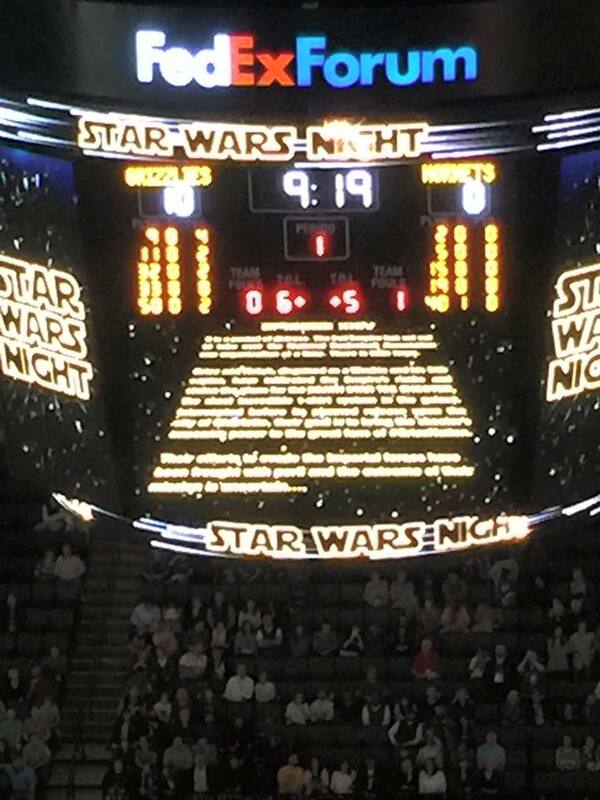 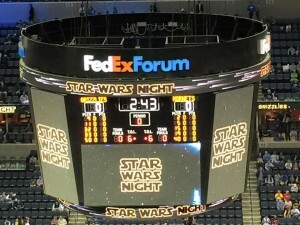 A couple days ago in an city not too far away…actually it was this past Friday in Memphis, TN– my wife Nicki and I traveled to the FedEx Forum for Star Wars Night when the Memphis Grizzlies took on the evil Charlotte Hornets. 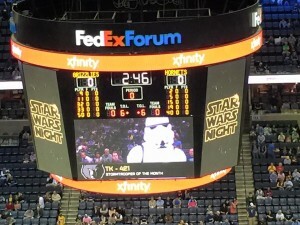 We got to attend the Mississippi Riverkings Star Wars Night last year, but missed the one last weekend so we definitely wanted to make it to the Grizzlies’ one this week. I met some local Star Wars fans from the Memphis Star Wars Fan Force/Suspicious Mind Trick (SMT) fan group at the 2003 Midsouthcon costume contest (I did the El Vader art above as a promo image later for the group), and was invited to join them at a backyard drive-in movie night to see Star Wars on a huge 20’x20′ movie screen. 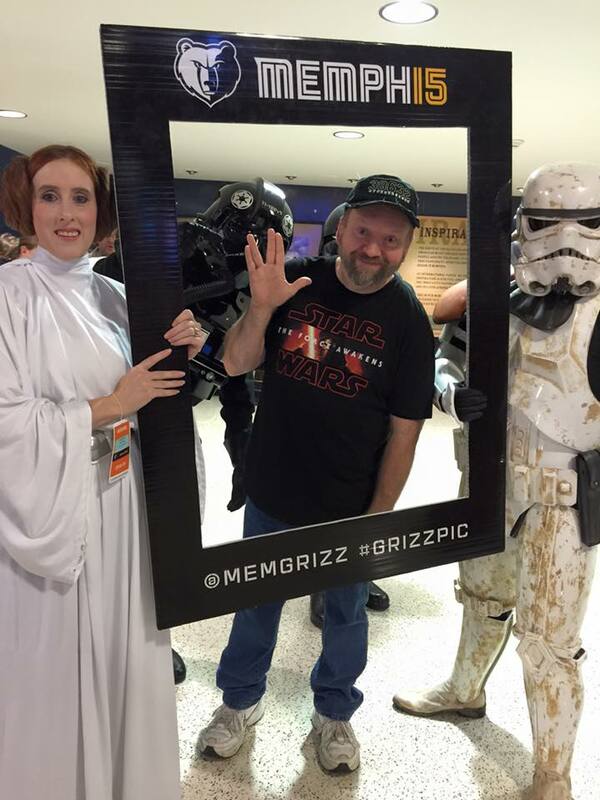 That lead to another invite for a group outing to a Memphis Redbirds game and me becoming a member of the group (I also joined the Rebel Legion as Obi G-Y-N once I had a Jedi outfit). 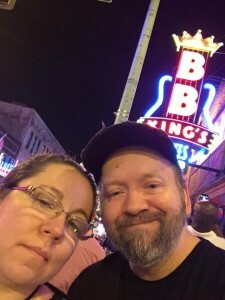 A couple years later while living in Nashville Nicki met some of the same folks online at the TheForce.net message boards. 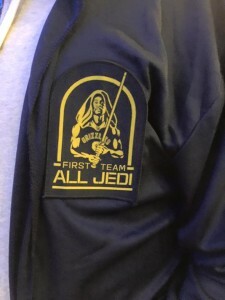 They invited her to join us at one of the Fan Force get togethers (game nights, cook outs, backyard movie nights, conventions, etc.) 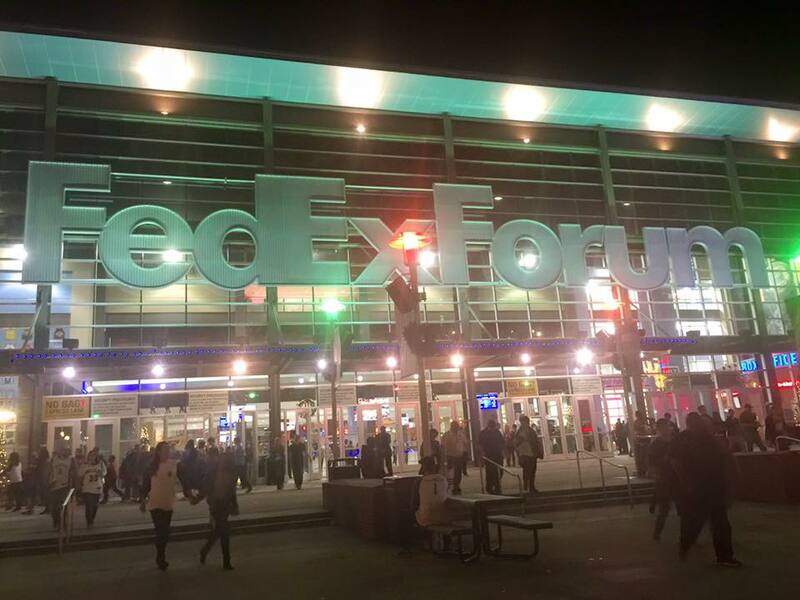 whenever she was coming back to Memphis to visit family. 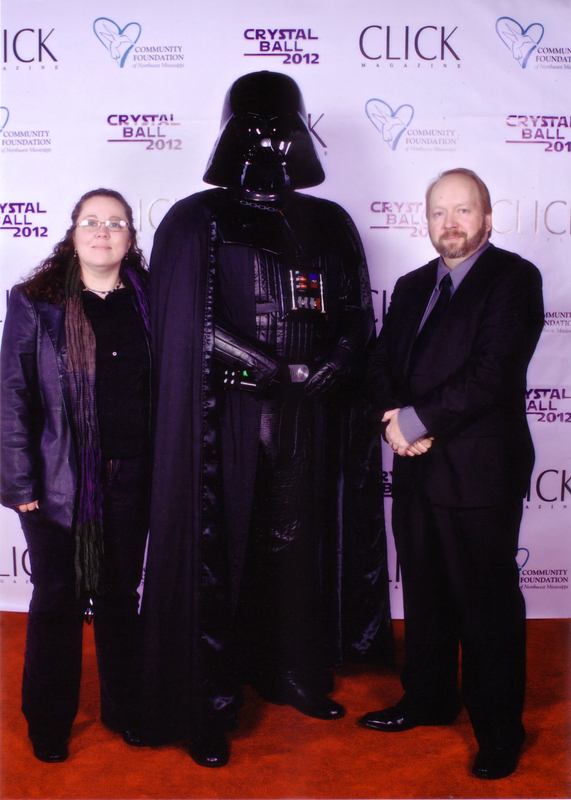 Nicki joined the group, we hit it off, and started dating after she got a new job and moved back here. 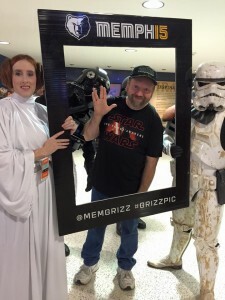 Several of our dates have involved going to Star Wars related events like movies, concerts, exhibits, cons, book signings, charity events, and more. We even named two of our cats after Star Wars characters (Zayne and Jarael) from our friend John Jackson Miller‘s comic series Star Wars: Knights of the Old Republic. We are both fans of Star Wars, but my wife is a HUGE Star Wars fan and has an impressive collection of the expanded universe books, Marvel and Dark Horse comics, toys, art, autographs, statues- and of course the movies (she’s actually in the other room right now watching the prequels). 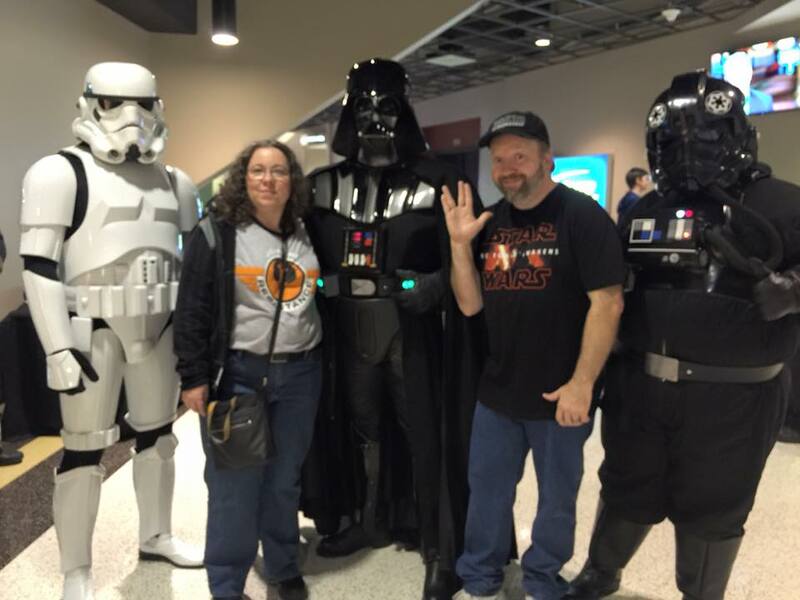 We’ve done a few displays at the Hernando Library, and one of them was items from our combined Star Wars collections in-conjunction with Dan Wallace‘s book signing there. 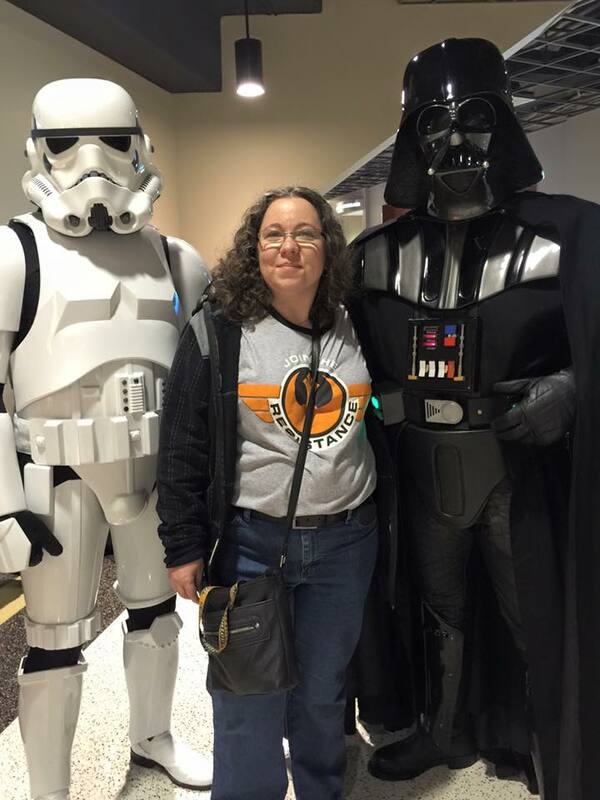 The displays were fun and a big hit, and there were some of the local 501st Legion and SMT on hand for the book signing. 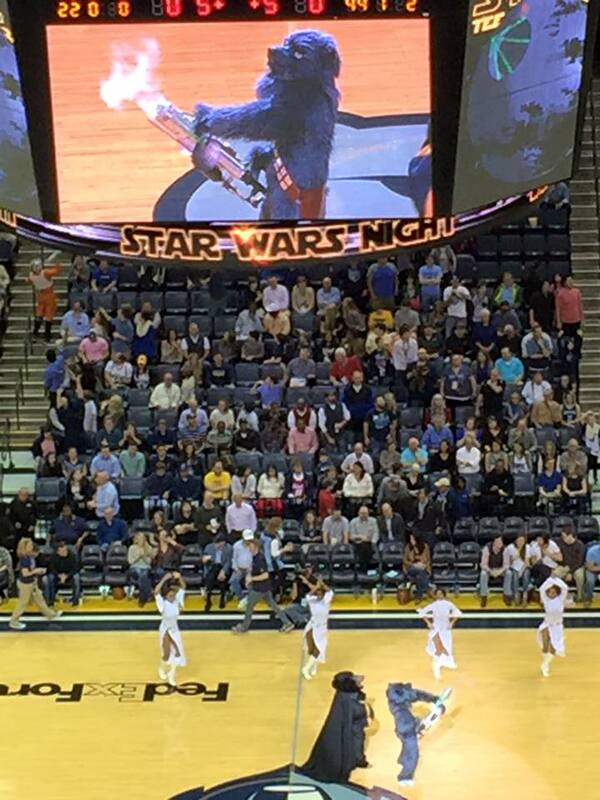 For the #GrizzStarWarsNight there were also a good number of the 501st‘s Midsouth Garrison and Mississippi Rancor Raiders members on hand for photo ops with the crowds of fans- or “trooping” as they call making an appearance while in costume. 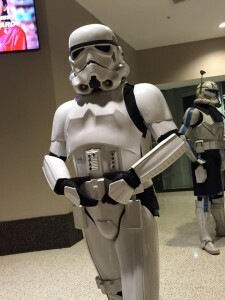 Why wasn’t TK-421 at his post again,,? 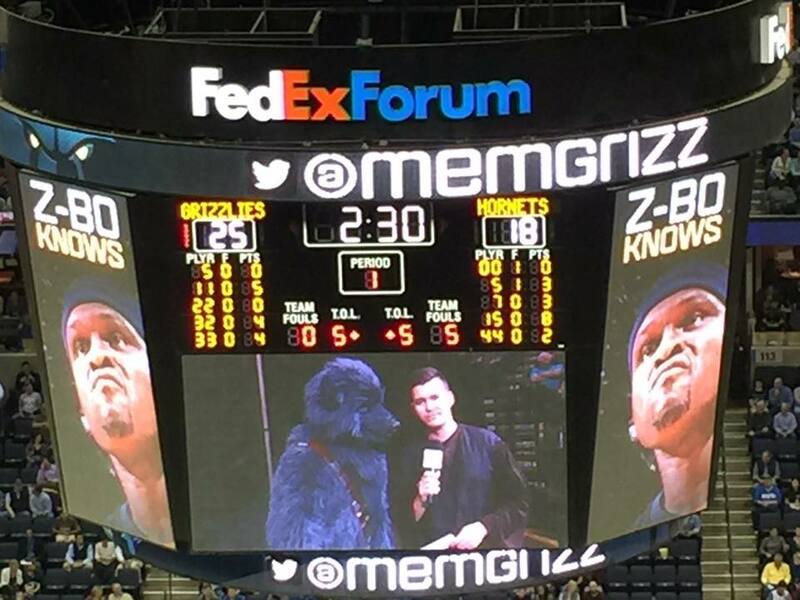 Because he was at the Grizzlies game, too! We took advantage of the chance for a couple photo ops and saw some familiar faces (Kell as Leia), and masks (Kevin as Vader)! Was great to run into a few of the 501st members we know. 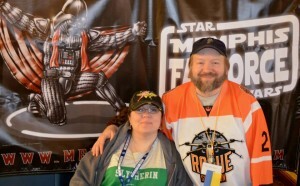 We also got to sit next to two of our SMT friends, Mike and Rhonda. It was at Rhonda’s old apartment for an SMT game night where I first met Nicki. 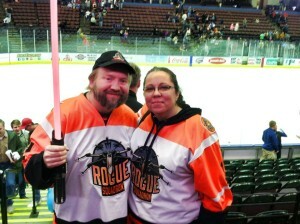 We grabbed some snacks and found our seats. 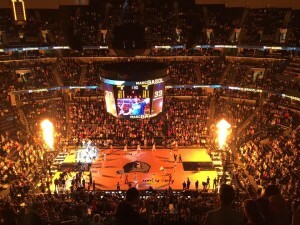 I always dig the opening of the Grizzlies games- it’s extremely loud and flashy! 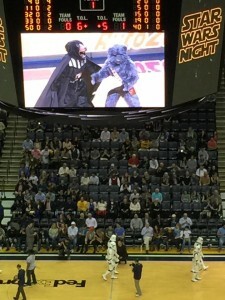 There were a lot of Star Wars skits with the two mascots including a “Duel of the Fates” light saber battle, a medal ceremony Flavor Flav would have been proud of, and a lot of Star Wars music between play. 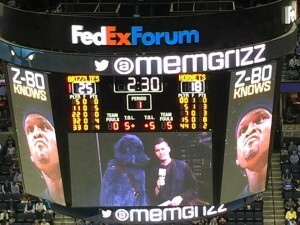 Even Super-Grizz made an appearance. 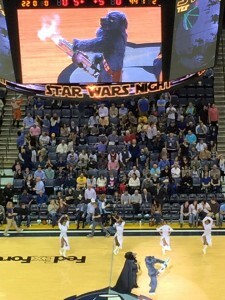 The Grizz Girls, Grizz Claw Crew (dressed as Rebel pilots), and Kings of the Court Dunk Team (dressed as Elvis) kept the crowd cheering and entertained throughout the game. 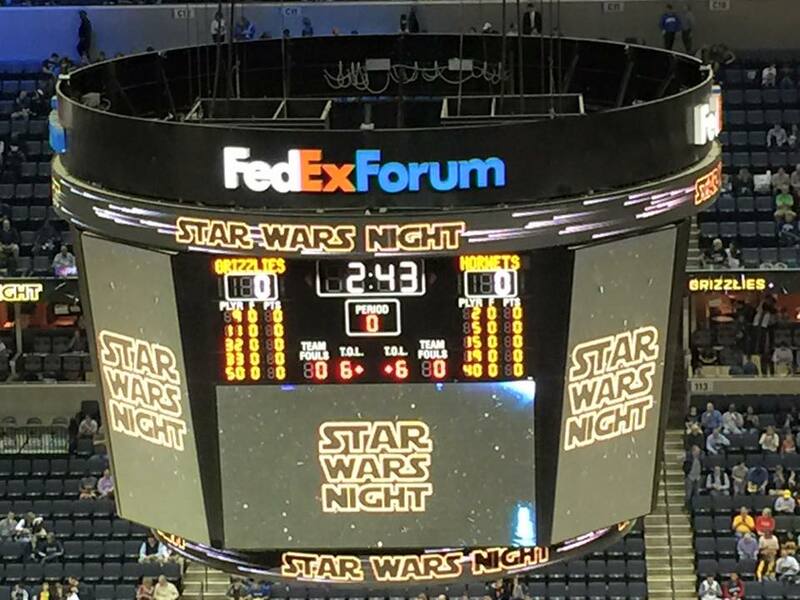 That wouldn’t be the only disappointment of the night I’m afraid. 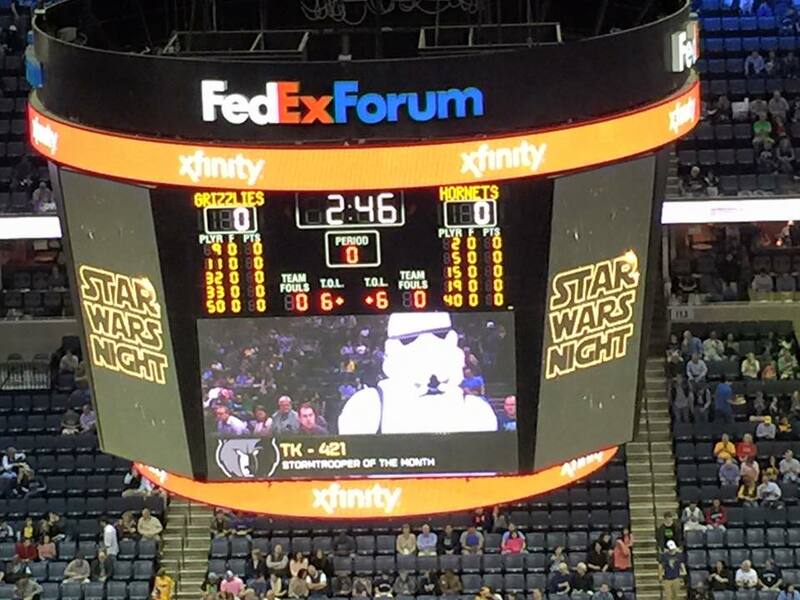 Although Memphis took a quick 10+ lead and kept it through most of the first period (35-29), something happened in the second and they started shooting like stormtroopers and couldn’t hit anything! Before we knew it Charlotte had not only caught up, but had taken the lead (54-59 end of 2nd and 73-93 end of 3rd). 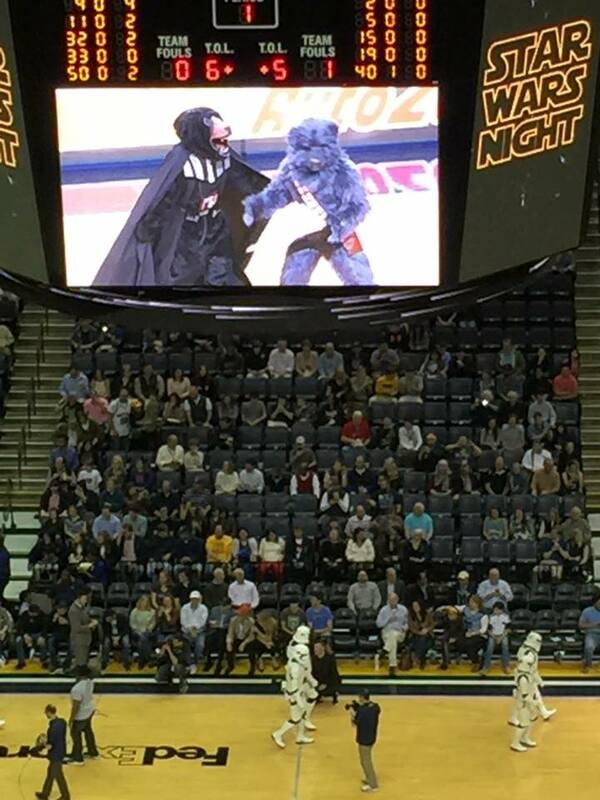 Final score was Memphis 99, Charlotte 123! 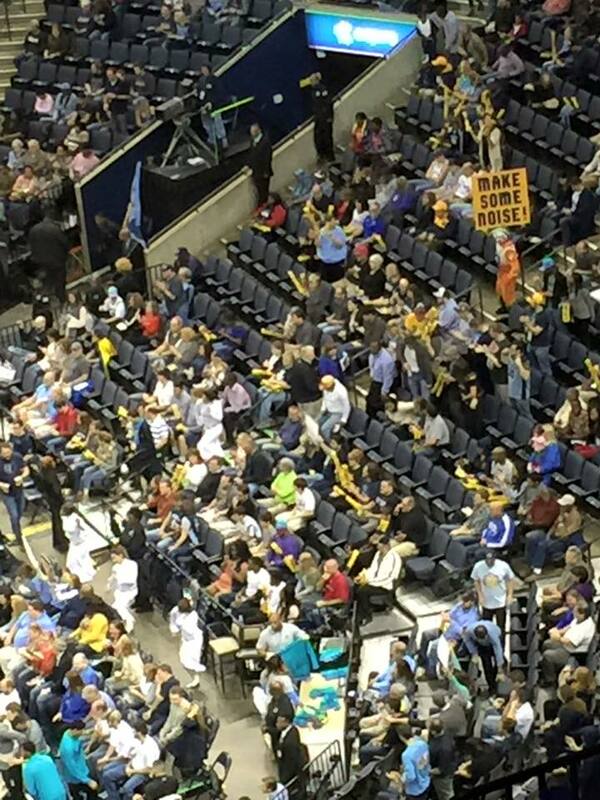 Yep, that “stung“. 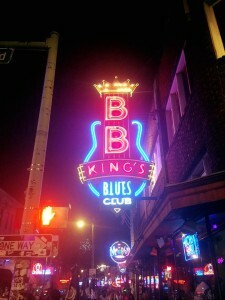 After the game we headed back down Beale Street towards where our car was parked. It was a nice night to stroll down it and hear the live music coming from the clubs that line the historic street. 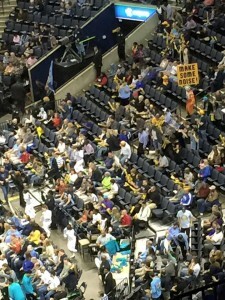 If wasn’t packed, but had a pretty good crowd for this time of year. 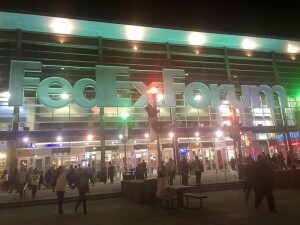 The weather was unseasonably warm for December, but much like the Memphis Grizzlies, Memphis weather is very unpredictable. 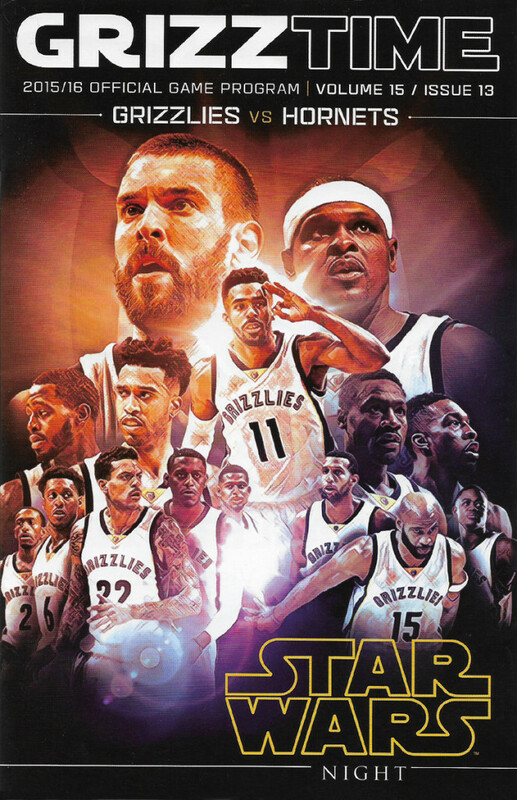 Less than a week away is the release of Star Wars: The Force Awakens. 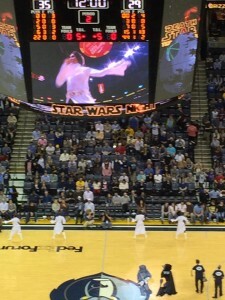 I got to see Episode IV: A New Hope (or just “Star Wars” as we called it back in 1977) at the Whitehaven Twin Cinema near Graceland. 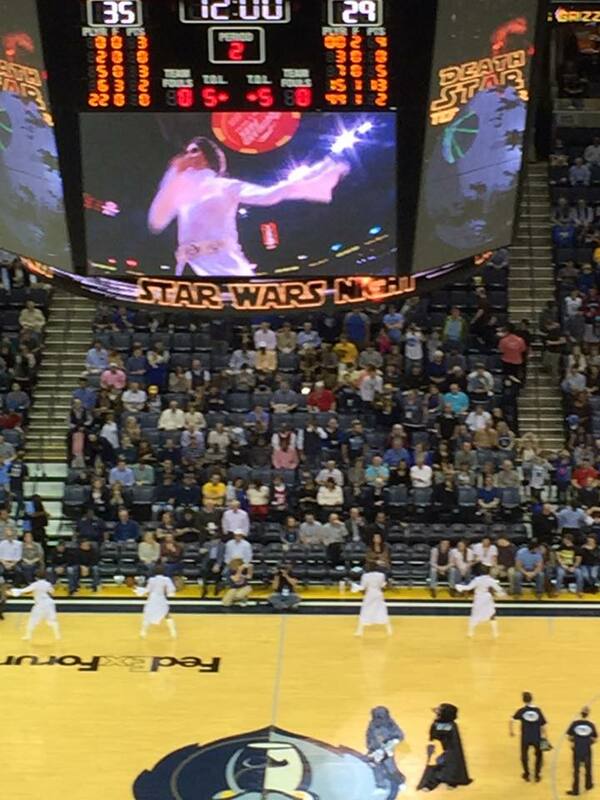 After that opening fanfare, crawl, and space battle I was hooked! 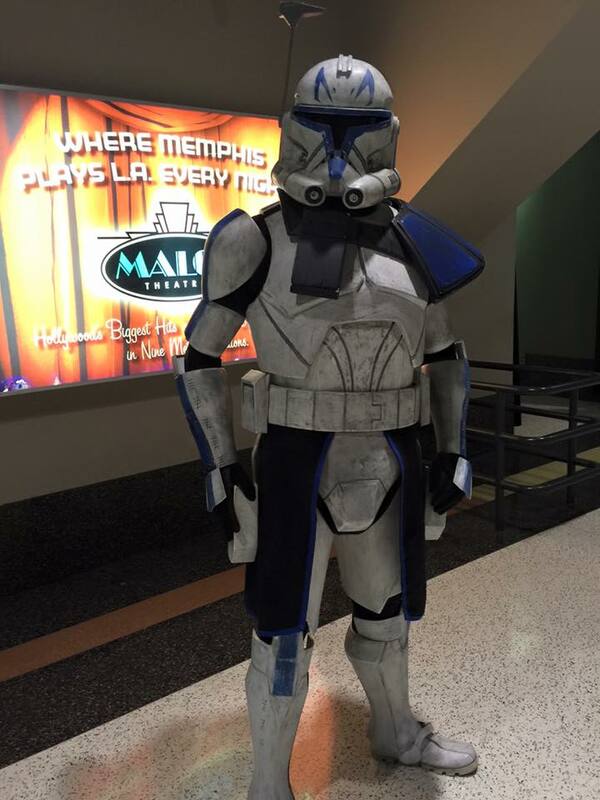 Saw Empire at the Park Theater, and Jedi at the Mall of Memphis. All three theaters are now gone, but I did get to see the first one again at the Whitehaven Cinema before it closed when they did a 10th anniversary release. 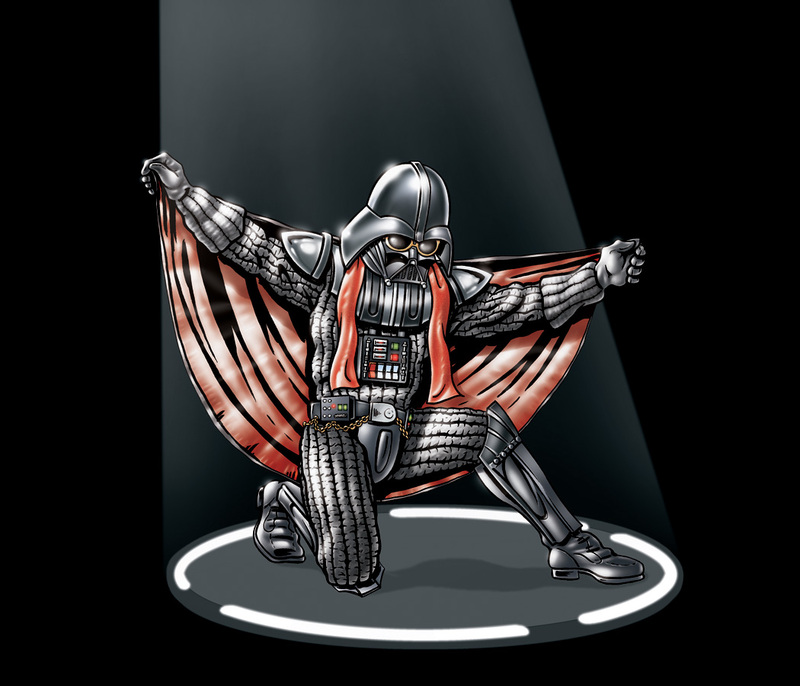 As a kid (and adult) I collected all the toys and comics I could! 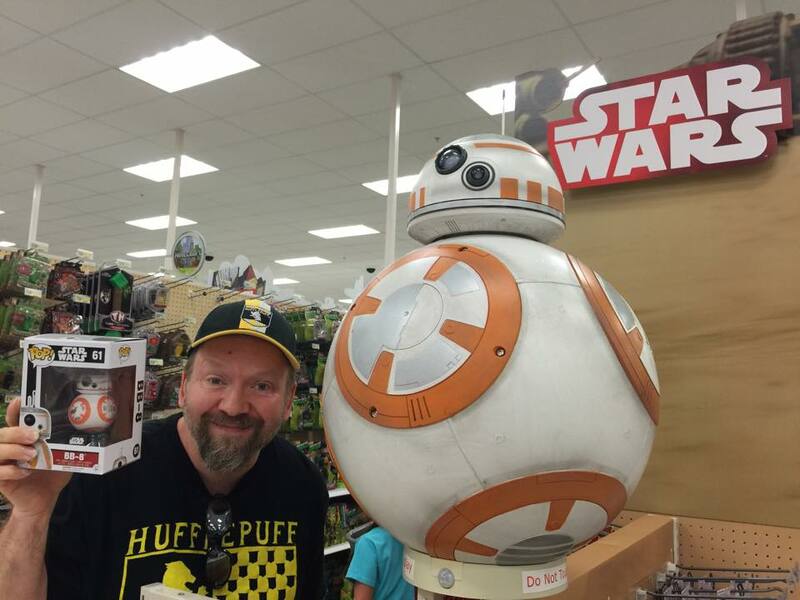 I don’t know what to expect from the new movie, but I dig BB-8, Captain Phasma, and the new order stormtroopers and have been blown away by some of the space battles I’ve seen. 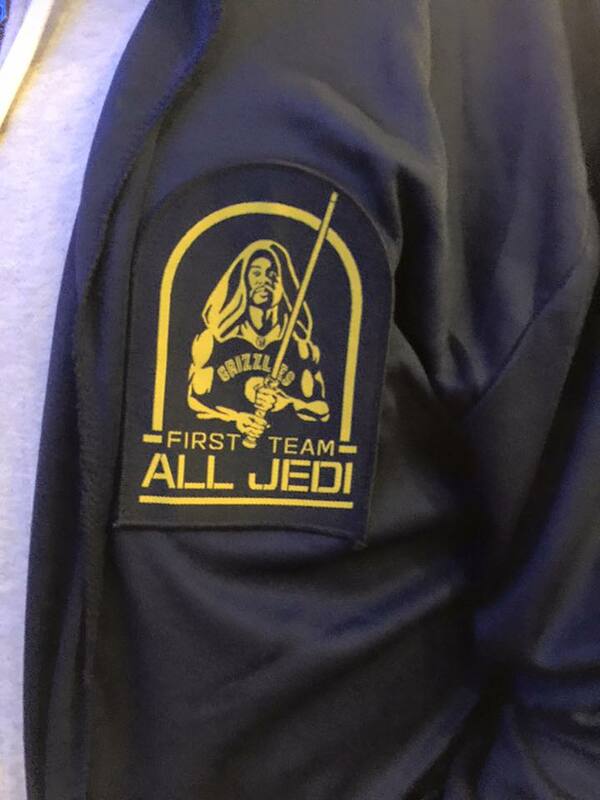 I’m just hoping the 11 year old in me is happy with the next chapter in the Star Wars story (I had mixed feelings about the prequels). I’ll do a review and talk about our adventure at the movies next week. 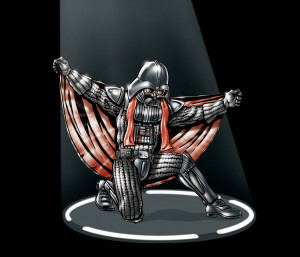 Live long and may the force prosper with you always!